Every August, the oldest synagogue in the United States celebrates the fact that George Washington hated tolerance. Pause here for a century or two until “every one” actually includes everyone. While we wait, it’s worth remembering that colonial Rhode Island had attracted so many Jews, Quakers, Baptists and other denominations because non-Puritans were persecuted in neighboring Massachusetts. 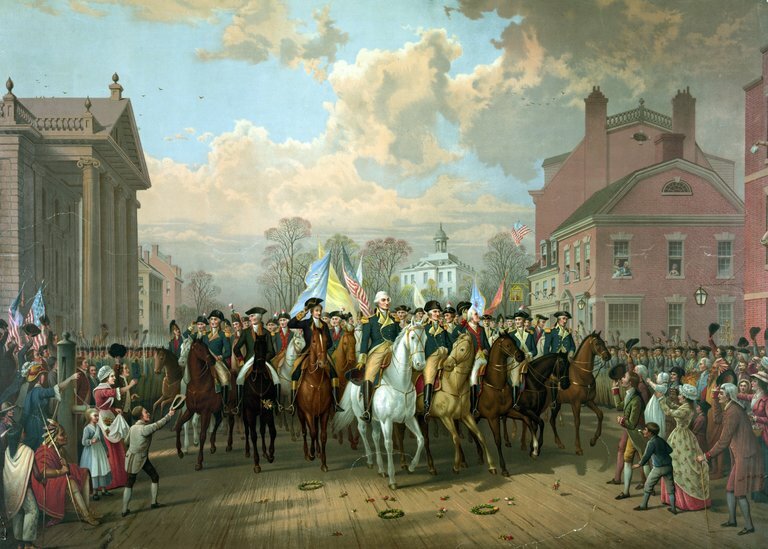 And that in 1774, the First Continental Congress almost fell apart in its first five minutes because a couple of Episcopalians refused to pray with a bunch of shifty Quakers and Congregationalists. So it was a civil rights landmark when the first American president publicly invited non-Christians to join him on equal footing on the First Amendment’s front porch. Now, after Khizr Khan appeared on national television offering to lend Donald J. Trump a paperback Constitution he had pulled out of his jacket, thereby turning the pocket Constitution into an Amazon best seller, next Sunday’s annual reading of Washington’s letter at Touro Synagogue is sure to crackle with newsy excitement. A few months before Washington wrote to the Touro Jews, he confided to a British historian: “I walk on untrodden ground. There is scarcely any part of my conduct which may not hereafter be drawn into precedent.” Because he was all too aware of inventing the presidency, the letter addressed to the Rhode Island synagogue is also addressed to us. As the first president, which is to say the first executive with the job of preserving, protecting and defending the Constitution, he was making a blunt statement on what he believed that Constitution was supposed to be about. *** Is America Any Safer? Tension between Russia and Ukraine is escalating. According to the Russians, a special operations team from Ukraine attacked Crimea. The Ukrainians denied the claim. The Russians appear to be moving forces around in Crimea and increasing the number and the posture of the forces in the area. More significant militarily, there are some reports of Russian troop buildups east of their border with Ukraine and an unconfirmed report of a brigade of Russian troops deploying in pro-Russian rebel-held territory inside Ukraine. The Russians have done nothing to tamp down tension. In fact, they have increased it by citing multiple Ukrainian provocations and insisting that they will not be allowed to persist. Whatever the truth in the reports, it is obvious that the Russians are establishing a justification for taking action against Ukraine. Our model predicts that the Russians will eventually move to change the situation in Ukraine, militarily if necessary. Ukraine is too important to them strategically to accept anything less than a neutral government in Kiev. A pro-Western government with close ties to the U.S. and other militaries can evolve dangerously from the Russian point of view. Therefore, we expect the Russians to take some significant action – diplomatically, economically and/or militarily. However, our view is that for the moment the military option is likely off the table. Ukraine is a very large country and just occupying it against minimal resistance would require a force that Russia didn’t have a year ago. Given that the Russians couldn’t count on minimal resistance, their forces needed modernization, extensive training and a strong logistical base. Thus, we expected the informal truce that has been in place – with low-level fighting and an implicit commitment from the U.S. not to get directly involved in boosting Ukraine’s military position – to continue to the end of 2016 at least. Therefore, our forecasting model says that an increase in tension will lead nowhere. But while models are nice, and we are proud of ours, the Russians are talking war, and we must consider why they are doing it now. The Russian economy has declined precipitously and is still declining. This has to be hurting President Vladimir Putin’s political position, especially among senior officials and oligarchs who constitute the Russian elite. Putin has been increasing his power lately,replacing some governors with his former bodyguards. But actions like that don’t make him appear powerful to us. On the contrary, it makes us think that he is extremely worried and trying to shore up his position. The declining economy is one of the forces undermining his position. The other is his mishandling of Ukraine. While Westerners think of Putin as the aggressor, at the end of the day, Ukraine’s Russian-friendly government was replaced by a pro-Western government. All the Russians retained was Crimea, where they already had a massive force by treaty with Ukraine, and a presence in eastern Ukraine. There, the Russians tried to incite a broad uprising that never happened, and the rebel forces they supported were essentially fought to a standstill with the Ukrainians. An equivalent scenario in the United States would be if the U.S. simultaneously went into a massive depression and faced a pro-Mexican coup in Texas. Not being able to do much about the economy and the Ukrainian situation, Putin needs to do something. He needs to appear threatening, even if it’s a bluff. The greatest challenge to a Russian military action would be a massive commitment of U.S. airpower in the region. The U.S.’ F-16s and F-15s (along with strategic bombers and newer if fewer fighters) were designed to stop a Soviet invasion, albeit a lot farther west. 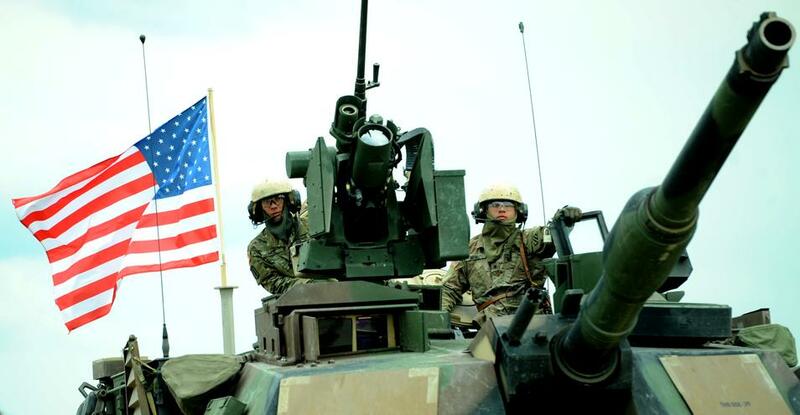 The U.S. still has the ability to impose severe attrition on Russian armor. The United States has close relations with Poland and Romania. It is interesting that the Russians have been creating problems on their border with Poland in Kaliningrad. The U.S. would base its aircraft in these countries, as well as Germany and other countries, if it were to confront Russia. But the needed force is not there yet, and any deployment will take a while. Assuming that diplomacy aligns with the best timeline, this leaves a window for the Russians. India’s Ministry of Defence (MoD) is unique in most aspects. No other country can boast of such a set-up. Not convinced? Read on. Responsibility for India’s national defence is discharged through MoD, which provides the policy framework and wherewithal to the armed forces. MoD has five Secretaries, heading different departments. Here is a closer look at their functioning. According to the Allocation of Business Rules of the government, the Defence Secretary heads DoD that is responsible for the defence of India and every part thereof, including preparation for defence and all such acts as may be conducive in times of war. In other words, he is tasked to ensure the defence of the country. Surprised? Yes, it is his responsibility and not that of the Service Chiefs. For such an onerous responsibility, it is natural to expect a highly experienced defence expert/veteran to be occupying the chair. After all, to ensure defence of the country (including preparation and execution) is no routine job. But MoD is different. Any bureaucrat can foot the bill, even if he cannot differentiate between a mortar and a howitzer or a rocket and a missile. India has had Defence Secretaries whose earlier service had been limited to Rural Development, Panchayati Raj, Fisheries and Animal Husbandry. Most do not know even the basics of defence imperatives. To mask their ignorance and inadequacy, they resort to the time-tested expedient of deferring decision-making. India is the only country that considers experience in fisheries or handlooms to be good enough to equip a bureaucrat to handle defence of India. No wonder we claim ‘Mera Bharat Mahan’. Development of indigenous defence industry is DDP’s prime responsibility. Although DDP has a vast domain of 39 ordnance factories and 9 defence public sector undertakings, the performance of DDP has been pathetic to say the least. It is solely responsible for the current pitiable state of the indigenous defence industry, wherein India remains dependent on imports for 70 percent of its defence requirements. The world over, promotion of defence industry is considered to be a highly specialised assignment. However, India is an exception. Any bureaucrat can be appointed as Secretary DDP. Some come with no experience of industry or defence. Their incompetence manifests itself in their prejudiced and blinkered approach towards the private sector. Blocking theentry of the private sector to ensure regular flow of orders to the public sector becomes their sole mission. Instead of exploiting the enormous technological prowess of the private sector, DDP impedes its participation in defence production. Karan Singh, the Congress Rajya Sabha member, was 18 years old when he was appointed the regent of Jammu and Kashmir state in 1949 after his father Hari Singh stepped down as the ruler, following the state's accession to India in 1947. He served successively as regent, the first and last Sadr-i-Riyasat, and governor of the state of Jammu and Kashmir from 1965 to 1967. In these excerpts from his speech in Rajya Sabha on August 10, he reminds us that the state's relationship with the rest of India is guided by Article 370 and the State Constitution that he signed into law on 26th January, 1957. I have been listening with rapt attention to the speeches that have been made, beginning with the effective intervention of the LoP [Leader of Opposition] and all the other leaders. One thing is very clear. There is a very broad consensus in this House, cutting across party lines, rising above party politics, that something urgently needs to be done to actually grapple with the problem in the Kashmir Valley. There is also a great deal of sympathy for what is happening there. One thing is quite clear, since we last debated this in the House here on the 18th of July, the situation has deteriorated. We were hoping that within eight or ten days, it would pass off. But what has happened is more and more people have died. The death toll is now over 60 – 150 to 200 people have been blinded apparently and thousands have been injured. Let me start by saying that I agree with my friends here that those pellet guns have got to be banned. Just stop those pellet guns. They have become a symbol of an extremely negative situation. Some alternative must be found. Rajnathji [Home Minister Rajnath Singh], the Committee may take another month before you get the Committee report. But, surely, before that, you can take some initiatives, and just stop those guns because they are really creating terrible, turmoil and young people, particularly, who may not be even actually involved, are also getting caught. Excerpts from the speech of the nominated member to Rajya Sabha, while participating in the discussion in Rajya Sabha on August 10, 2016 on the prevailing situation in Kashmir Valley. I think, today was a very heartening experience in terms of seeing a cross-section of the House, the entire political class as well as people from really all the regions of India actually express their concern, their agony over the happenings in Kashmir – whether it is the curfew, whether it is the deaths and whether it is the general sufferings of both the people as well as the armed personnel. But, I think there is another task of Parliament, which is, while we try to evolve a national consensus on this pressing issue, we should sometimes be brutally frank about what exactly we are dealing with. I think it is important to realise that the problem which we face in Kashmir today is somewhat qualitatively different from some of the problems which we faced earlier. Kashmir is not new to political turbulence. We have had it during the time of Sheikh Abdullah. We have had it as a consequence of the rather dodgy elections of 1987. We saw the most heinous form of ethnic cleansing which took place in Kashmir in 1990-91. And we saw a bout of terrorism. What marks this is a different one. Three months ago, as most people have admitted, Kashmir was tranquil. We had a unique political experiment, not merely that the PDP [People’s Democratic Party] and the BJP [Bharatiya Janata Party] came together, but it was in a sense an alliance between the Valley and Jammu – a geographical alliance between the two – something which was quite unique, and something which was very, very encouraging. Number one, Burhan Wani never considered himself an Indian. Number two, what do you say about a person who actually flashes his Kalashnikov, puts it on Facebook, and actually tends to glamourise terrorism for everybody? Irom Sharmila: A Lost Cause And Case? Difficult questions will be asked, and Sharmila looks ill-equipped to answer them. A Meitei herself, Sharmila is yet to comment on what solutions she has for the Meitei-Naga conflict. Manipur’s ‘iron lady’ Irom Chanu Sharmila ended her marathon hunger strike with a dab of honey, but she’ll soon discover that her chosen path to becoming Chief Minister of Manipur will involve many bitter struggles. Sharmila ended her 5757-day hunger strike demanding the withdrawal of the Armed Forces (Special Powers) Act, or AFSPA, from Manipur by announcing that she would join politics and contest against present Chief Minister Okram Ibobi Singh. Her ambition: to become the Chief Minister of Manipur and repeal the AFSPA. Sharmila’s announcement belies her naivety. Winning an election, leave aside becoming a chief minister, is no easy task. She may have displayed exemplary courage by sustaining her hunger strike for 16 long years, but this protest, no matter how long it was, hardly qualifies her to become the Chief Minister of Manipur. Manipur is a state that’s infested with many intractable problems, and the AFSPA is just one of them. The sharp divide between the majority Meiteis who inhabit the Imphal Valley and the tribals in the hills surrounding the valley is threatening to tear the state apart and Sharmila, a Meitei herself, has never offered any imaginative solutions to bridge this divide despite being asked many times to offer her opinion on this issue by media persons. Former Finance Minister P Chidambaram’s son Karti has built a huge empire for himself in different parts of the world by making investment in real estates and engaging in other business activities in London, Dubai, South Africa, Philippines, Thailand, Singapore, Malaysia, Sri Lanka, British Virgin Island, France, USA, Switzerland, Greece and Spain. This came to light from the documents recovered during the recent joint raids of the Enforcement Directorate and Investigation Wing of Income Tax in the Aircel-Maxis scam. The investigation team got the details of Karti’s wealth following raids on his company, Advantage Strategic Consulting, which is involved in the Aircel-Maxis deal for financial transactions with telecom beneficiaries. Most of the transaction and purchases of properties and acquisition by Karti was executed through Advantage’s Singapore-based subsidiary Advantage Strategic Consulting Singapore Pte Ltd. According to the investigators, the ED and I-T (Investigation Wing) are expected to contact their international counterparts to get more details from the 14 countries as per the United Nation’s Convention on prevention of money laundering. The 2G Court had already issued Letter Rogatory to Singapore for getting transaction details of the Karti-controlled company in Singapore. This is a story unlike any we have previously published. It is much longer than the typical New York Times Magazine feature story; in print, it occupies an entire issue. The product of some 18 months of reporting, it tells the story of the catastrophe that has fractured the Arab world since the invasion of Iraq 13 years ago, leading to the rise of ISIS and the global refugee crisis. The geography of this catastrophe is broad and its causes are many, but its consequences — war and uncertainty throughout the world — are familiar to us all. Scott Anderson’s story gives the reader a visceral sense of how it all unfolded, through the eyes of six characters in Egypt, Libya, Syria, Iraq and Iraqi Kurdistan. Accompanying Anderson’s text are 10 portfolios by the photographer Paolo Pellegrin, drawn from his extensive travels across the region over the last 14 years, as well as a landmark virtual-reality experience that embeds the viewer with the Iraqi fighting forces during the battle to retake Falluja. It is unprecedented for us to focus so much energy and attention on a single story, and to ask our readers to do the same. We would not do so were we not convinced that what follows is one of the most clear-eyed, powerful and human explanations of what has gone wrong in this region that you will ever read. Sequestration cuts have presented challenges. But America’s fighting forces remain second to none. U.S. military readiness is again a hot issue in the presidential election, but unfortunately the current debate glosses over some of the most important facts. While Congress’s sequestration-mandated cuts to military spending have hurt preparedness, America’s fighting forces remain ready for battle. They have extensive combat experience across multiple theaters since 9/11, a tremendous high-tech defense industry supplying advanced weaponry, and support from an extraordinary intelligence community. • The current national defense budget of over $600 billion a year far exceeds the Cold War average of about $525 billion (in inflation-adjusted 2016 dollars) and the $400 billion spent in 2001, according to official Pentagon and Office of Management and Budget data. The national defense budget, which doesn’t include Veterans Affairs or the Department of Homeland Security, constitutes 35% of global military spending and is more than that of the next eight countries—including China and Russia—combined. Spending has been reduced from the levels of the late Bush and early Obama years, but that isn’t unreasonable in light of scaled-down combat operations abroad and fiscal pressures at home. Establishing international norms and instruments to prevent missile proliferation is unlikely to succeed as long as such efforts are seen as discriminatory and lack near-universal adherence. Attempts will also fail as long as missiles, whether conventional or armed with weapons of mass destruction, remain integral to the security of nations. On these points, contributors to this roundtable exhibit broad consensus. Yet my colleague Masako Ikegami argues in Round Two for a treaty, styled after the Intermediate-Range Nuclear Forces Treaty (INF), "that would eliminate the twin threats of missiles and non-strategic nuclear weapons." Clearly, the desire to address missile proliferation through a universal treaty or regime is enduring, no matter how many obstacles stand in the way of achieving this aim. Ikegami herself spells out some of the reasons that a globalized INF Treaty—or an agreement to eliminate ballistic missiles, or even regional variations on these ideas—would be extremely challenging to establish. Nonetheless, the principles that underlay the INF might be globalized. Those principles included a commitment to reducing the dangers presented by forward-deployed missiles, with very short flight times, on hair-trigger alert. They included recognition of the need to reduce tensions and build trust. And they incorporated a desire to address, at the regional and global levels, the root causes of insecurity among nations. So for nations with WMD-tipped ballistic missiles, are steps available that—whether undertaken on a unilateral, bilateral, regional, or global level—would accord with these principles and reduce the threats posed by all missiles? The answer is a qualified yes. One step would be for all nine nuclear-armed states to adopt a nuclear no-first use policy. Two countries—China and India—already maintain such a policy. Now Barack Obama is reportedly contemplating US adoption of a no-first-use policy before he leaves office. Some observers areskeptical of this shift, especially considering its implications for Washington's alliance commitments in Northeast Asia. But no-first-use policies could make a real contribution to global security, particularly if all nine states signed on. Another step might be to reduce the alert status of missile forces—especially nuclear-tipped missiles—so that they could not be launched instantaneously. De-alerting would provide decision makers more time to react to events and, perhaps, seek diplomatic solutions. A US-Russia de-alerting agreement (also involving China and India, which reportedly do not keep their nuclear forces on alert today), could create momentum to establish a global regime guaranteeing that the nuclear forces of all nine nuclear-armed states are kept off alert. FirstNet was envisioned as a way for police and firefighters to communicate with one another in the wake of 9/11. But four years later, it’s still not up and running. The prize for the most wasteful post-9/11 initiative arguably should go to FirstNet—a whole new agency set up to provide a telecommunications system exclusively for firefighters, police, and other first responders. They would communicate on bandwidth worth billions of dollars in the commercial market but now reserved by the Federal Communications Commission for FirstNet. FirstNet is in such disarray that 15 years after the problem it is supposed to solve was identified, it is years from completion—and it may never get completed at all. According to the GAO, estimates of its cost range from $12 billion to $47 billion, even as advances in digital technology seem to have eliminated the need to spend any of it. FirstNet, which has received scant press attention, was established in 2012 and funded with an initial $7 billion. A classic congressional compromise made it a quasi-independent unit of the Department of Commerce. That was supposed to give it the heft and authority of the federal government but the agility and culture of a private-sector start-up. In fact, the reverse dynamics seem to have taken over from the beginning. It took FirstNet two years just to recruit a skeleton staff, only to be hit by an inspector general’s report that found potential conflicts of interest and problems with the awarding of initial consulting contracts. It then took another two years to issue a request for proposal (RFP) asking contractors to bid on the work to build and operate the system. The impetus for FirstNet grew out of an aspect of the September 11 narrative that is part tragedy and part urban myth. With almost no notice, any website in China can be shut down on a temporary or permanent basis if it’s deemed to contain “politically incorrect” content. And sure enough, this summer, the Cyberspace Administration of China announced a crackdown on online news reporting, targeting some of China’s most popular internet giants – including Sina, NetEase, Sohu, Tencent, and Phoenix. While China is used to tight controls on the internet and the media, this was nonetheless a remarkably aggressive move. And it speaks of a renewed zeal for an all-encompassing control of information. The internet portals in question provide news to the majority of China’s688m internet users on a daily basis, most directly through the popular social networks of Weibo and WeChat. The CAC ordered these companies to shut down or clean up their news portals, saying they were in serious violation of internet regulations by publishing original news reporting. The CAC isn’t launching a new policy here; it’s simply started enforcing an old one. The Provisions on the Administration of Internet News Information Services, issued in 2005, stipulate that commercial websites may reprint news from official traditional media, with sources clearly denoted and content not distorted, but may not produce original news reports. But just as it goes in many grey areas of Chinese state authority, this regulation has not been strictly enforced. Major news portals have been able to establish journalistic and editorial teams to carry out investigations and report on popular news topics such as air pollution, the milk safety scandal, police brutality, and even local officials’ corruption. They have been competing with traditional media outlets to expand their readership. The challenge in Mosul won’t be to defeat the Islamic State. It will be what comes after. David Petraeus is a retired U.S. Army general who commanded coalition forces in Iraq from 2007 to 2008 and Afghanistan from 2010 to 2011 and served as CIA director from 2011 to 2012. He is a partner in a major global investment firm. In the next few months, a mixed force of Iraqi Arab and Kurdish security forces — including various Sunni and perhaps some Shiite militia elements — will enter Mosul, clear the city of Islamic State extremists and then work to bring governance, stability and reconstruction to one of Iraq’s most complex cities and its province. There is no question that the Islamic State will be defeated in Mosul; the real question is what comes afterward. Can the post-Islamic State effort resolve the squabbling likely to arise over numerous issues and bring lasting stability to one of Iraq’s most diverse and challenging provinces? Failure to do so could lead to ISIS 3.0. The prospect of the operation to clear Mosul brings to mind experiences from the spring of 2003, when the 101st Airborne Division, which I was privileged to command, entered a Mosul in considerable turmoil. Our first task, once a degree of order had been restored, was to determine how to establish governance. That entailed getting Iraqi partners to help run the city of nearly 2 million people and the rest of Nineveh Province — a very large area about which we knew very little. Establishing a representative interim council to work with us in Nineveh proved to be no easy task — and its formation and subsequent developments hold insights for the coming endeavor in Mosul. The challenge of Mosul and Nineveh is the considerable number of ethnic groups, religious sects, tribes and other elements that make up the province. Ultimately, we ensured that the provincial council included representatives of every district in Nineveh, of every major religion (Sunni, Shiite, Christian, Shabak), of each ethnic group (Arabs, Kurds, Yazidis, Turkmen), of every additional major societal element (Mosul University academics, businessmen, retired generals) and of each major tribe not already sufficiently represented. We were able to structure a caucus that elected an interim provincial council. That council, in turn, elected an experienced, able interim governor (a Sunni Arab, given that Sunni Arabs made up the majority of Nineveh’s population), who was a well-respected, highly decorated former major general whose brother had been killed by Saddam Hussein and who had himself been under house arrest for a considerable period. Importantly, I had the legal authority needed and the forces necessary to back up that authority, if required. I was not reluctant to exercise either. Signs of Trouble in Ukraine Prompt Question: What’s Vladimir Putin Up To? WASHINGTON — Russia is conducting a series of military and rhetorical escalations toward Ukraine that have anxious Western analysts once again looking for clues as to President Vladimir V. Putin’s next move. On Wednesday, Russia’s state security agency, the F.S.B., claimed that it had blocked an attack on Crimea by “sabotage-terrorist groups” sponsored by the Ukrainian government, though two Russian soldiers were killed. Russia has increased its military presence in and around Crimea, adding to fears that Moscow might be planning another military intervention in Ukraine. But while Mr. Putin is nothing if not unpredictable, analysts say this may be about Russia seeking diplomatic leverage rather than prepping for war. What is actually happening in Crimea? There are two sets of overlapping events, both shrouded in mystery: the supposed recent attack on Crimea and Russia’s buildup there. The official Russian account lays out the first as follows: It began late on Saturday, when F.S.B. officers discovered a group of saboteurs just on the Crimean side of the land border with Ukraine. A firefight ended with one F.S.B. officer killed and several of the saboteurs captured. Then on Monday, Ukrainian special forces attempted to cross into Crimea, killing one Russian soldier in what the agency called “massive firing” over the border. Open Source Won. So, Now What? KLINT FINLEY BUSINESS , DATE OF PUBLICATION: 08.11.16. THE GOVERNMENT IS now a little more open. This week, the White House released its first official federal source code policy, detailing a pilot program that requires government agencies to release 20 percent of any new code they commission as open source software, meaning the code will be available for anyone to examine, modify, and reuse in their own projects. The government agencies will also share more code with each other, essentially adopting open source practices within their own governmental universe. It’s the latest in a long line of high-profile victories for the open source movement. As recently as a decade ago, the worlds of both government and business worried that using open source software would open them up to bugs, security holes, and countless lawsuits. But despite these early fears, open source came to dominate the digital landscape. Today, practically every major piece of technology you interact with on a day-to-day basis—from the web to your phone toyour car—was built using at least some form of freely available code. Some of the biggest companies in the world are not only using open source software, but open sourcing their own code as well. Earlier this year, Walmart released an open source cloud management system. ExxonMobil released an open source developer toolkit to help oil and gas companies adopt standard data formats. Financial giants like the London Stock Exchange Group, JP Morgan, and Wells Fargo are among the companies backing Hyperledger, open source software that could reinvent the stock market. In short, open source is now a core part of how software is created not just by software companies, but by every kind of company. That’s because governments and corporations are realizing that open source is often the best way to develop software. Open source lets companies share the burden of developing common infrastructure and compatibility standards. And because anyone can participate, regardless of what company they work for,or whether they work for any company at all, open source can potentially attract a more diverse pool of talent–people with unique perspectives, who can spot problems or develop new features that the original creators of a piece of software never imagined. At an Atlantic Council event this week, cybersecurity researchers and experts said last week's Black Hat and DEF CON conferences showed that Washington is working harder to build better relations with the hacker community. Over the past 20 years, the Black Hat and DEF CON hacker conferences have grown from intimate gatherings of computer tinkerers and tech outsiders to glitzy conventions that draw thousands of attendees and international media attention. While the security research revealed at the back-to-back events – from breaking into ATMs to hacking roller coasters – seemed like science fiction just a few years ago, the work on display at last week's conferences in Las Vegas drew the attention of major global corporations and governments from around the world. This year also marked the debut of a DEF CON event sponsored by the Defense Advanced Research Projects Agency (DARPA). The DARPA Cyber Grand Challenge aimed to prove that sophisticated computers can find and eliminate flaws in computer code without the help of human operators. Organizers broadcast the seven-team competition, which could revolutionize the cybersecurity process in the future, on jumbo screens for scores of spectators. For the first time, politics played a bigger role in Vegas. Not only did representatives from Congress, the FBI, and the Federal Trade Commission attend the gatherings, but supporters of Democratic presidential nominee Hillary Clinton staged a fundraiser at the conferences. But even though hackers and politicians are increasingly working together, there's still a wide gulf between Washington and the broader cybersecurity community. At an Atlantic Council Cyber Statecraft Initiative and Passcode event on Wednesday, security researcher and policy experts explored the growing bond between between the two camps – and what still divides them. Panelists included Lorrie Faith Cranor, chief technologist at the FTC; Jason Healey, senior research scholar at Columbia University’s School of International and Public Affairs; Beau Woods, deputy director at the Atlantic Council's Cyber Statecraft Initiative and Brent Scowcroft Center on International Security; and security researcher Cris Thomas (also known by his hacker handle Space Rogue) of the cybersecurity firm Tenable Network Security. Last month's Democratic National Committee leaks underscore the value of data in the hands of nations, hacktivists, and terrorists. Cybersecurity experts and US officials often point fingers at Moscow after digital attacks that cause a political stir – from last year's Ukraine grid hack that led to a widespread power outage to the Democratic National Committee data breach. But if the Kremlin is indeed behind the DNC hack and helped orchestrate the subsequent WikiLeaks dump of sensitive emails on the eve of the Democrats' convention, Russia has opened a new front in information warfare that may fundamentally change the value of data in national security. "This is what cyberconflict actually looks like," says James Lewis, a senior fellow at the Center for Strategic and International Studies (CSIS), a Washington think tank. “The problem in the US is we’re very militarized, so we tend to think about attacking infrastructure. The Russian approach is much more political and about trying to manipulate public opinion." While WikiLeaks founder Julian Assange did not confirm or deny that Russian hackers turned over the DNC email, many cybersecurity and political experts have connected the leak back to the Russian government. If the leak originated in Moscow, it would be among the first known state-backed digital attacks to harness the power of the internet with the aim of manipulating a US presidential election. "We’re very used to seeing hacktivists grabbing and spilling information to build up their hacker cred," said Scott Donnelly, an analyst at the cybersecurity firm Recorded Future. “This is very different because this is very likely a nation-state taking information and spilling it. That’s not something that’s been done." From the 2014 Home Depot hack that compromised millions of credit card numbers to last year's massive Office of Personnel Management breach that exposed vast amounts of sensitive information belonging to government employees, the frequency and severity of data breaches only seems to be worsening. Weeks before the Democratic convention was upended by 20,000 leaked e-mails released through WikiLeaks, another little-known website began posting the secrets of a top NATO general, billionaire George Soros’ philanthropy and a Chicago-based Clinton campaign volunteer. Security experts now say that site, DCLeaks.com, with its spiffy capitol-dome logo, shows the marks of the same Russian intelligence outfit that targeted the Democratic political organizations. The e-mails and documents posted to the DCLeaks site in early June suggest that the hackers may have a broader agenda than influencing the U.S. presidential election, one that ranges from the Obama administration’s policy toward Russia to disclosures about the hidden levers of political power in Washington. It also means the hackers may have much left in their grab bag to distribute at will. The subjects of the DCLeaks site include a former ranking intelligence official who now works for a major defense contractor and a retired Army officer whose wife serves on the USS Nimitz, the nuclear-powered aircraft carrier. Some of the e-mails go back years. Open Society Foundations, the Soros group, reported the breach to the Federal Bureau of Investigation in June, said spokeswoman Laura Silber, who added that an investigation by a security firm found the intrusion was limited to an intranet system used by board members, staff and foundation partners. Gen. Dempsey’s prescription would preclude valuable contributions toward an informed electorate. General Marty Dempsey recently sent a clear and forceful message to his fellow retired generals and admirals: Keep your politics private. This position is not new for the former Joint Chiefs chairman; he has held these views for many years, articulating them while on active duty and now in retirement. It is hard for those of us who have served as flag officers and are now retired to argue with General Dempsey, for many reasons. Not the least of these is the enormous respect and credibility that he has gained with us through the many years of his distinguished service. We do not exaggerate or off-handedly flatter him when we observe that he is one of the best in our cohort. But in this instance he has overstated his case, and in so doing may have done a disservice to some of our peers who have contributions to make towards an informed electorate—and the voting public as a whole. What Exactly Is Going On In Ukraine? Among Russia watchers, the month of August has become somewhat notorious. Rare is the year that goes by without an eventful August. Sometimes the chaos is internal (the wildfires of 2010 and 2012), while other years the events are external (2008’s Russia-Georgia War comes to mind). This year, another August surprise seems increasingly possible. The Ukrainian territories that have been occupied by Russia since 2014 are taking their turn in the spotlight. 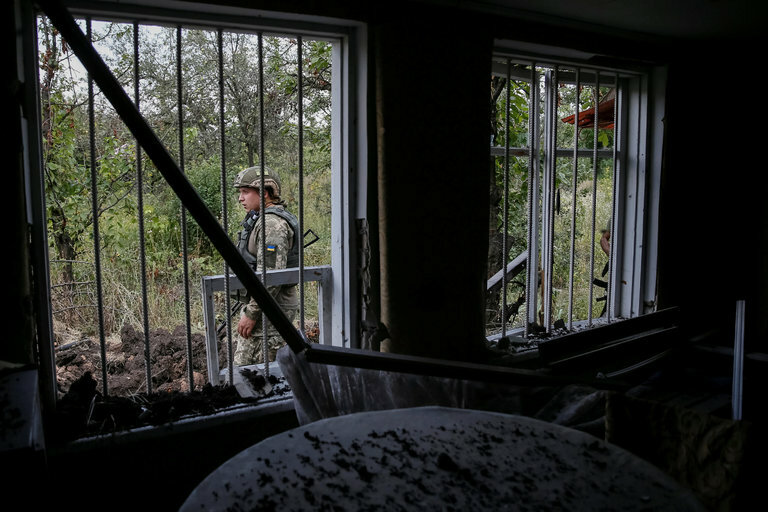 While violence in the east of the country—the so-called Lugansk and Donetsk Peoples Republics—has begun to ramp up considerably, the past days have seen worrisome developments in Russian-annexed Crimea. The proposed Mobile Protected Firepower vehicle must do much the same mission as the M8 Armored Gun System (shown here), canceled amidst budget cuts in 1996. After two decades of canceled combat vehicles, the Mobile Protected Firepower program is a crucial test for the Army’s new approach to acquisitions. The service is seeking off-the-shelf technology instead of gambling on breakthroughs. It’s bringing together industry, combat officers, and acquisition professionals together at an earlier stage than ever before. And it intends to rein in its requirements if industry says something can’t be done on budget and on schedule. The Army hasn’t officially set the number of MPF vehicles it wants to buy, but the aspiration is 14 MPFs for each of the Army’s 33 regular and National Guard infantry brigades — so at least 462 vehicles. That’s a fraction of the 50,000 JLTV trucks the service plans to buy to replace Humvees, but still a significant purchase for a service that’s struggled to design and field new armored fighting vehicles. That Wesley is so acutely aware of the issue is itself significant, because strictly speaking he doesn’t work in acquisition. He commands the combined infantry, tank, and scout school at Fort Benning, Georgia — the Maneuver Center of Excellence — which is part, not of the Army’s acquisition bureaucracy, but of the Training and Doctrine Command. TRADOC acts as the Army’s priesthood, publishing commandments on everything from digging latrines to planning wars. Who’s Next To Borrow from America’s Drone Strike “Playbook”? Fifteen years ago, the United States was the only country to have ever carried out a drone strike. Today, that’s no longer the case. Great Britain, Iran, Iraq, Israel, Nigeriaand Pakistan have used drones in combat. In all, 19 countries either have armed drones or are trying to acquire them, according to research by the New America Foundation. Non-state actors are getting in on the game too. Hamas and Hezbollah already possess armed drones. ISIS has also been working to secure some. The growing number of nations and groups acquiring armed drones lends new urgency to the question: Who decides what justifies the legal use of a technology that’s been blamed for hundreds of civilian deaths? Until now, the U.S. has established its own case for what is and is not considered a legal drone strike. But as the weapons proliferate, it’s unclear what if anything would prevent other nations, or even future U.S. administrations, from developing their own — perhaps more liberal — interpretation. The U.S. Defense Department is in the midst of a push to educate troops about the military's new blended retirement system. The Pentagon is making a "full-court press" to bring officers, enlisted personnel and their families up to speed on the new benefit, slated to take effect Jan. 1, 2018, according to Wayne Boswell, director of financial readiness in the office of the assistant secretary of defense for readiness. The department's June rollout of the so-called blended retirement system, or BRS, course on the website Joint Knowledge Online and other informational materials on the website Military OneSource marked the "first step in making sure that we reduce the speculation and the rumors, but get the facts out there so that as a force we can move forward into this new era of, I say, self investment," Boswell told reporters at the time. 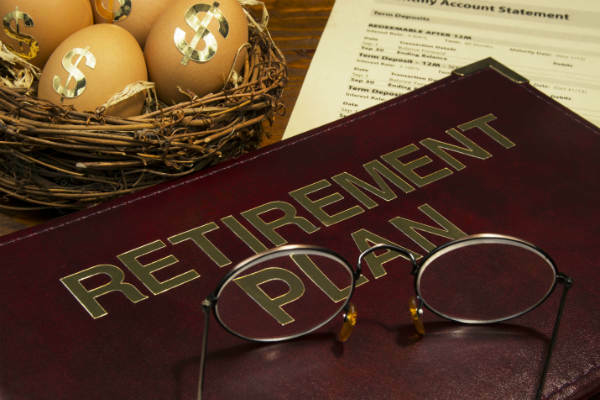 The retirement overhaul, approved in the 2016 National Defense Authorization Act, essentially means troops will be offered a slightly smaller defined benefit equal to about 40 percent of pay, rather than 50 percent after 20 years of service, but also a 401(k)-like defined contribution Thrift Savings Plan with matching contributions after just two years of service.